After a whole heap of scandals revolving around the notorious skin betting websites, things are becoming more and more clear about the future of it. 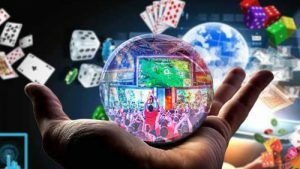 At first, such online gambling sites were considered as an innocent form of fun… But nowadays they are under the spotlight due to speculations of them increasing risks of teenage gambling addiction across the world. Even though this may or may not be true, there were several of actions against them as they continue to be among the focal points of eSports betting scandals. In addition to Valve and the WSGC's accusation, CCP has already taken action regarding their skin betting channels as well. As you already might know, CCP is the maker of Eve game franchise which offers a good amount of online betting. Many third party websites are offering real money bets along with in-game currency gambling which is something that CCP wants to put a stop to. Their system works in a similar way as Valve's and as such is considered a true example of in-game monetized currency. What does this mean for their customers?